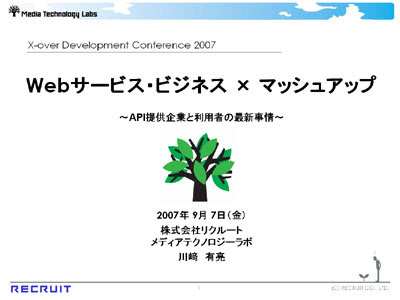 I gave a presentation at the X-over Development Conference 2007 in Tokyo. My talk is titled as Web Service / Business and Mashing up. In the talk, I mentioned the Facebook platform and Google Universal Gadgets in iGoogle.